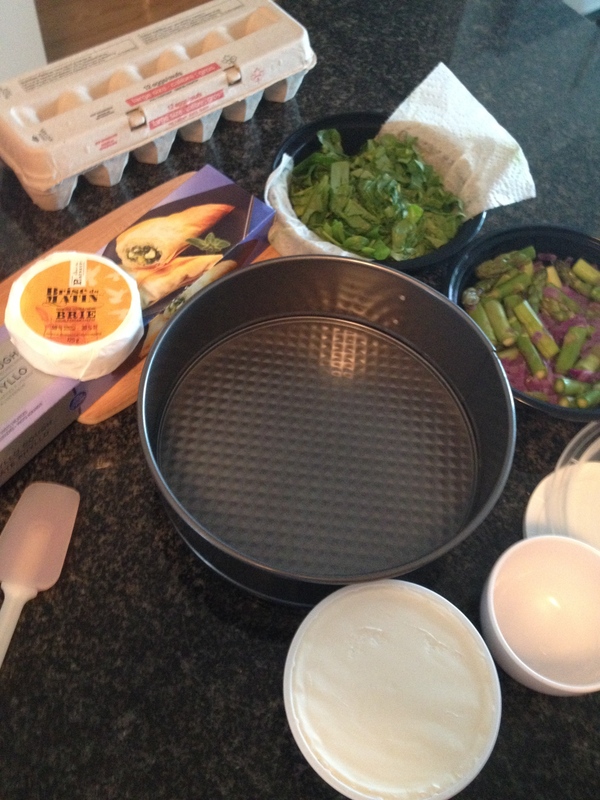 I recently hosted a small wine and cheese party and in keeping with the cheese theme, decided to make a cheese quiche to add to the food buffet. 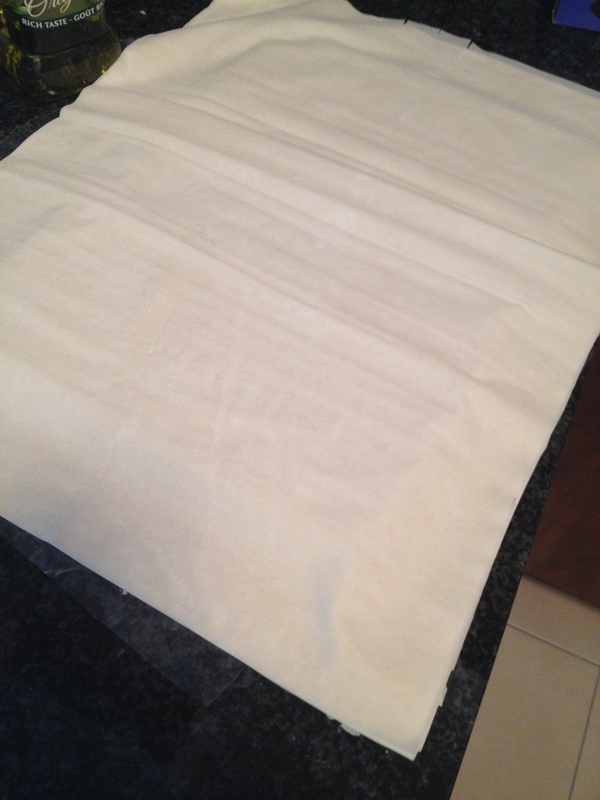 Phyllo pastry usually comes in sheets like this. 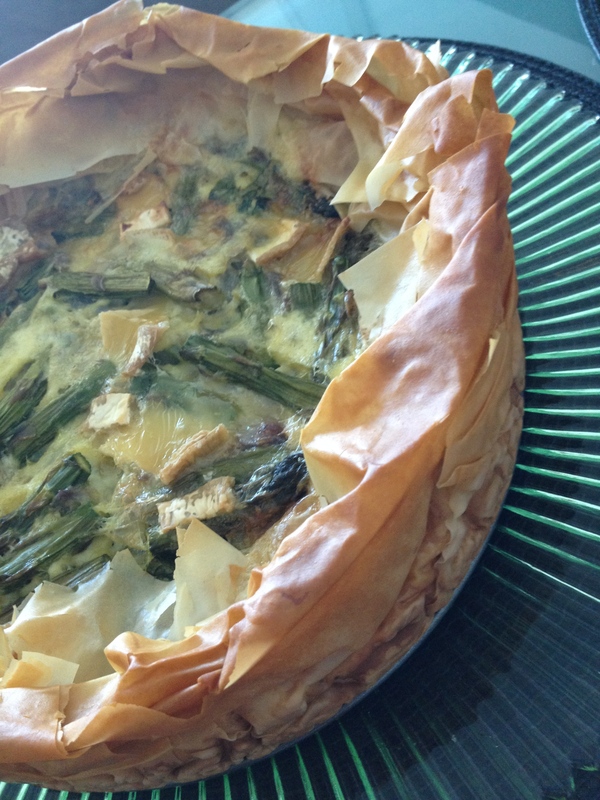 You will take the sheets, layer them in the springform pan and brush with the olive oil. In a bowl, mix the eggs, ricotta and cream together until well incorporated. Add a pinch of the pumpkin spice and salt and pepper to taste. 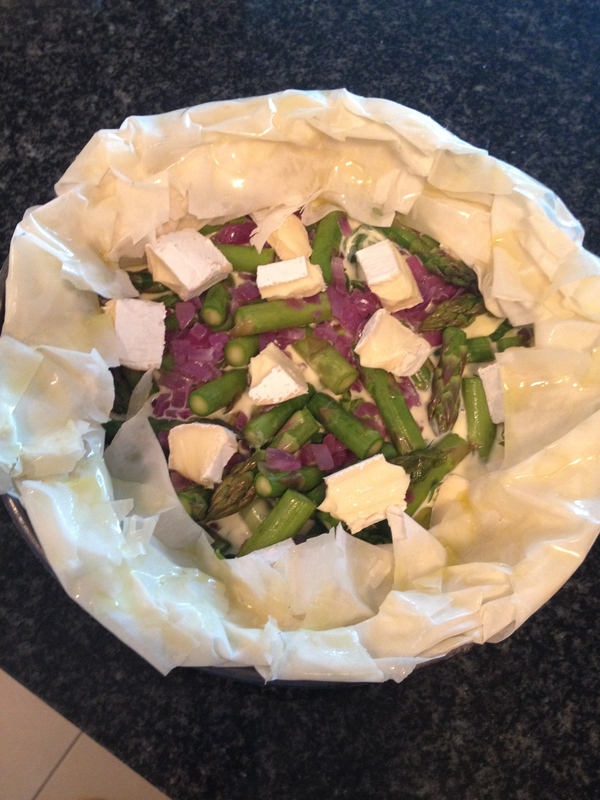 Pour the liquid mixture into the phyllo lined springform, then top with the spinach, next the asparagus and red onions. 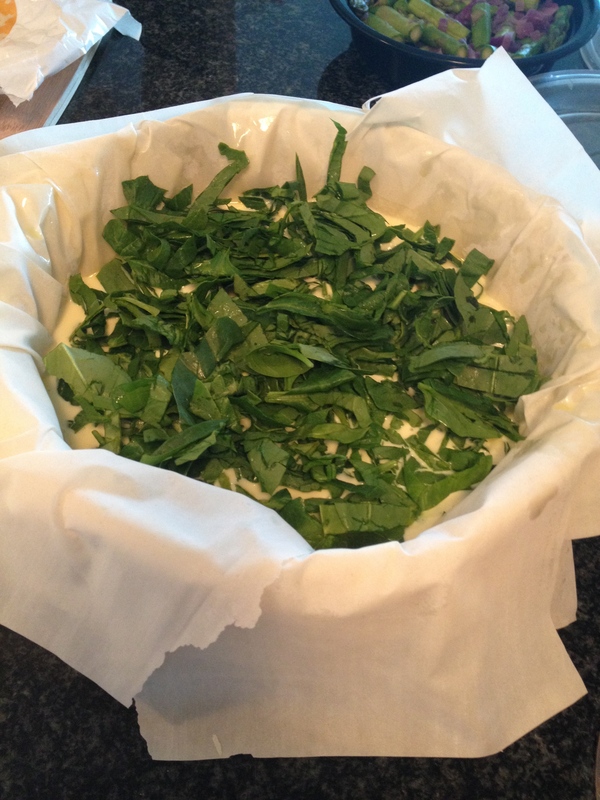 Sprinkle the cubes of Brie on top. 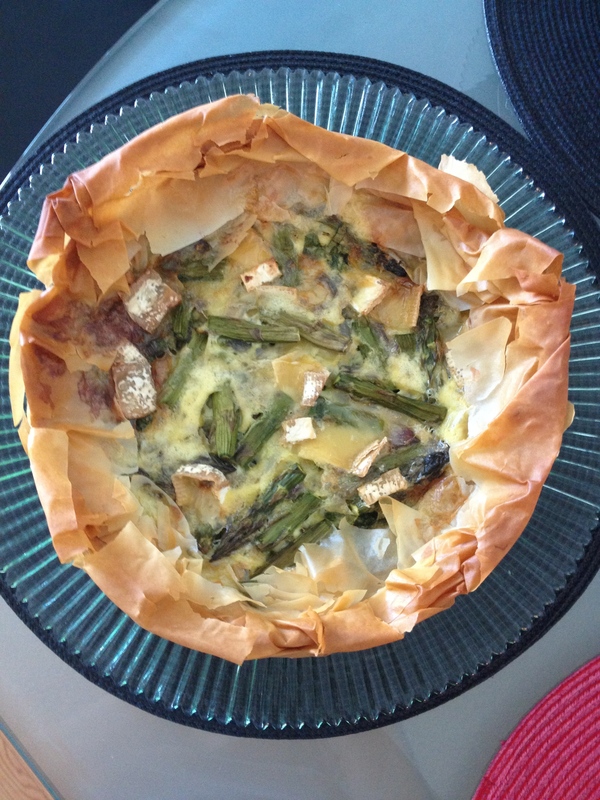 Once the filling is in, you will want to fold down the edges of the phyllo to form a crust. 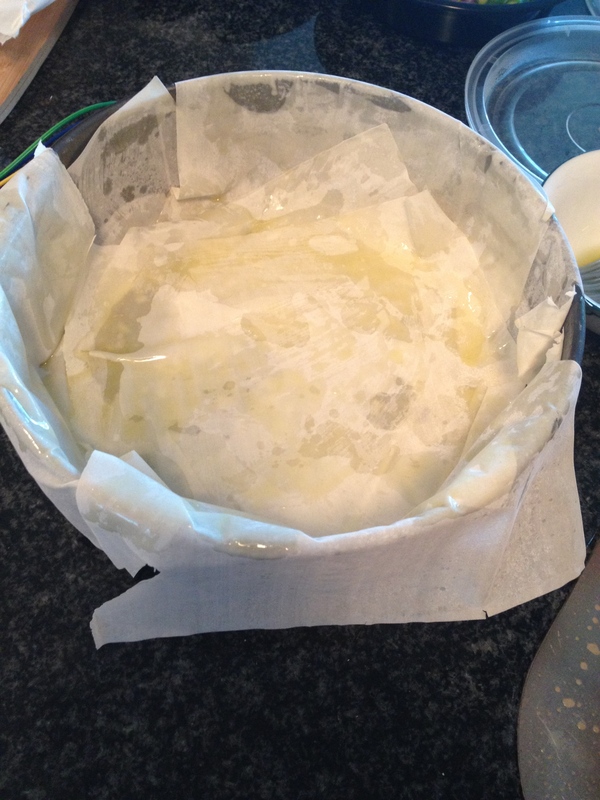 As it bakes the phyllo will brown and turn crisp. You will need to bake at 350 for about an hour. Let cool in the pan for about 15 minutes before releasing the quiche from the pan. This can be served at room temperature and makes a wonderful brunch/lunch meal item. Other variations include using cheddar or swiss cheese, add meat like ham or prosciutto or even using kale instead of spinach. 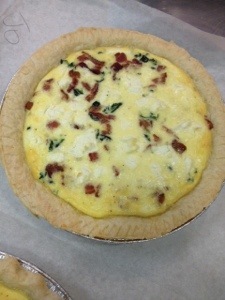 Quiche is always a versatile and easy dish to make. 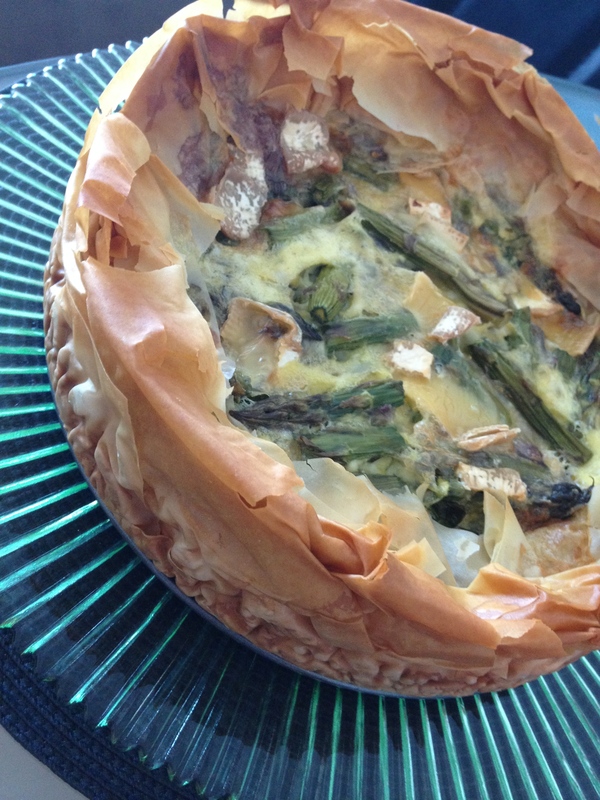 Pie Class – Quiche, quick. No lie, today’s class held zero excitement for me. Quiche and a Boston Cream Pake. Yes, I wrote pake. More about that after. 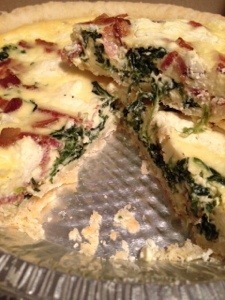 Quiche is something I’m no stranger to. I can’t recall the last time I made the pie shell from scratch, but in the grand scheme of things, a quiche is a quiche is a quiche. 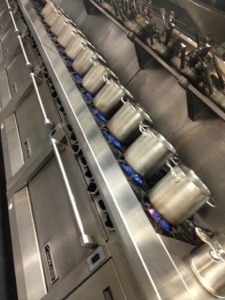 So, no hot water in the culinary building today. This is us boiling water to fill up our sinks with. It was hot in here today. 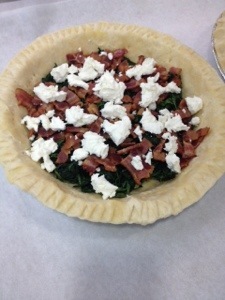 A rich egg and cream filling paired with spinach, bacon and goat cheese. Flakey pie crust. Now, let’s talk Boston cream pake. A pake is a pie cake, pake. This pie involved sponge cake and pastry cream, in a pie plate but no pie shell and a lot of work. Sometimes, one just needs to walk away from extra work, especially on a sunny Saturday.